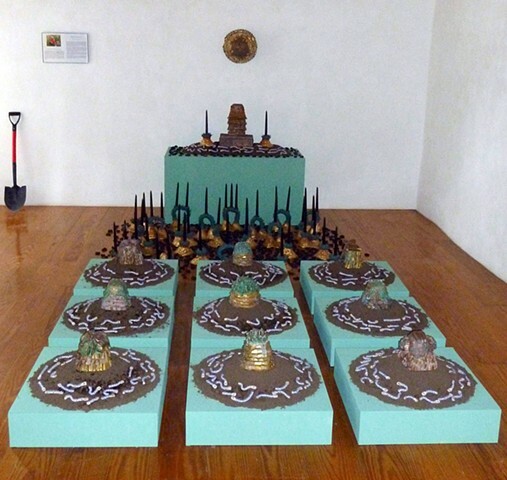 This was a Room Installation in Taos, New Mexico at the Hulse Warman Gallery. Each sculpture has a story and the whole series is under the title of Conceptual Archaeology. Each sculpture is on a pile of black dirt. There is an alter and many candle sticks with black candles, plus my red handle shovel.